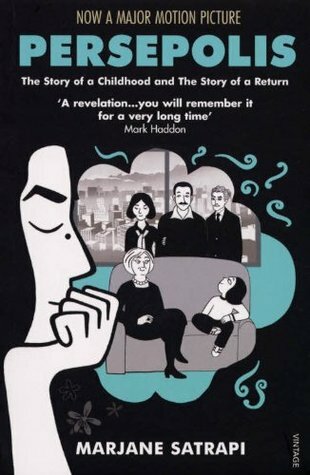 The Story of a Childhood and The Story of a Return The intelligent and outspoken child of radical Marxists, and the great-grandaughter of Iran's last emperor, Satrapi bears witness to a childhood uniquely entwined with the history of her country. Persepolis paints an unforgettable portrait of daily life in Iran and of the bewildering contradictions between home life and pu The Story of a Childhood and The Story of a Return The intelligent and outspoken child of radical Marxists, and the great-grandaughter of Iran's last emperor, Satrapi bears witness to a childhood uniquely entwined with the history of her country. Persepolis paints an unforgettable portrait of daily life in Iran and of the bewildering contradictions between home life and public life. This is a beautiful and intimate story full of tragedy and humour - raw, honest and incredibly illuminating.